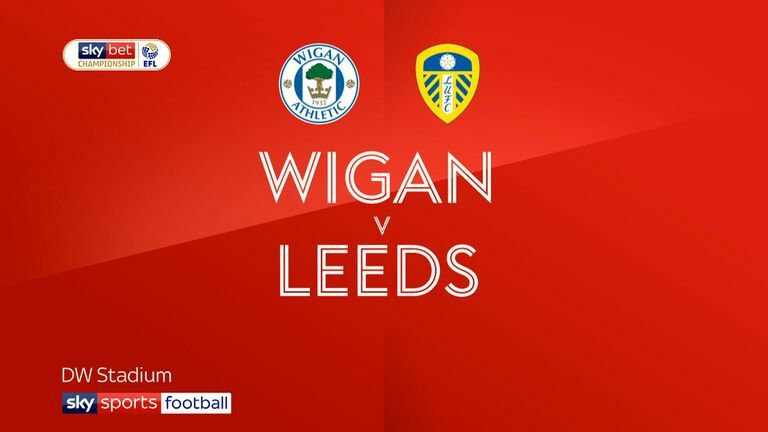 Highlights of the Sky Bet Championship match between Wigan Athletic and Leeds United. Wigan failed to win Dave Whelan's final game as the owner of the club as Leeds moved to the top of the Sky Bet Championship with a 2-1 comeback victory at the DW Stadium. Whelan, whose 23-year stint as Wigan owner will end next Wednesday after International Entertainment Corporation's takeover was approved, saw his side take the lead through Reece James (6). Leeds responded just three minutes later thanks to Pablo Hernandez and they took the lead straight after half-time, Christian Walton's error leaving Kemar Roofe with the simplest of finishes. It was not the end that Whelan would have wanted as Leeds held on to move level on points with Norwich and top of the table on goal difference. Wigan: Walton (5), Byrne (6), Robinson (6), Gibson (6), Morsy (6), Windass (7), James (7), Naismith (6), Kipre (6), Burn (7), Garner (6). 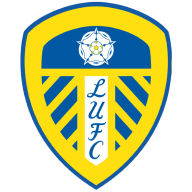 Leeds: Peacock-Farrell (6), Douglas (7), Dallas (6), Jansson, Cooper (8), Klich (7), Phillips (8), Hernandez (8), Alioski (7), Forshaw (7), Roofe (7). Wigan were quickly into their stride and took the lead with virtually their first sight of goal. Joe Garner was felled by Liam Cooper 30 yards from goal, and there seemed to be little danger as James lined up the free-kick. However, the on-loan Chelsea right-back curled a magnificent set-piece over the wall and past the despairing dive of Leeds goalkeeper Bailey Peacock-Farrell to score his first goal in senior football. It took Leeds just three minutes to respond, Barry Douglas' through ball releasing Mateusz Kilch, who pulled the ball back for Hernandez to tap in from close range. 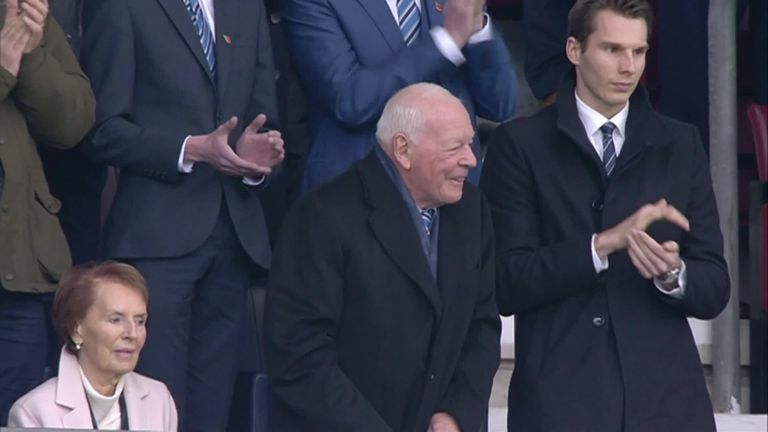 The action took a back seat in the 23rd minute as the DW Stadium broke out in rousing applause to thank Whelan and his family for their 23 years in charge of the club. There was applause at the DW Stadium as Wigan celebrated 23 years under the Whelan's. Back on the pitch Leeds were starting to gain a stranglehold on the game. A great strike from Adam Forshaw forced a brilliant save from Walton, who then had to tip over a speculative cross from Ezgjan Alioski. Leeds were eventually gifted the lead 39 seconds after half-time. An awful mix-up at the back between Cedric Kipre and Walton allowed Roofe to walk the ball into the net with ease. With Leeds now controlling the game, Wigan had to be content with playing on the break. On one rare attack, Josh Windass found himself temporarily one-on-one against Forshaw who, in the blink of an eye, was joined by seven of his colleagues to snuff out the danger. Wigan made four changes from the side that lost 4-2 to Sheffield United last time out. Gibson, Naismith, Kipre and Garner came in to the starting line-up with Roberts and Powell missing out through injury. Leeds made one change from the side that drew 1-1 with Nottingham Forest. Barry Douglas came into the side in place of the injured Luke Ayling. It was Leeds who came closest to a fourth goal in the match with Hernandez taking delivery of a neat back-heel from Forshaw, only to fire against the far post. The rebound fell to substitute Jason Shackleton, whose shot was accidentally deflected wide of the target by team-mate Roofe. 🍾Man of the Match🍾 @LUFC’s Kalvin Phillips. Paul Cook: "If you are being a fair judge on the game today I think the Wigan lads gave everything they had. Did we lack that little bit of quality? Yes, for sure. Did Leeds show that at times? Yes, for sure they did. We are very disappointed with the manner of the result but you must pay great respect to Leeds. At times they were excellent. "It's probably the biggest disappointment of it all. It would've been really good to get a positive result for the young chairman David and his grandad, Mr Whelan. All clubs now worry when new owners come in. It's natural with what's going on in the game. "When you have an owner like Wigan have had with the Whelan family over 23 years they should be very proud of themselves for what they've done with the football club. I'm sure they'll all enjoy a glass of wine tonight, albeit a little bit disappointed." 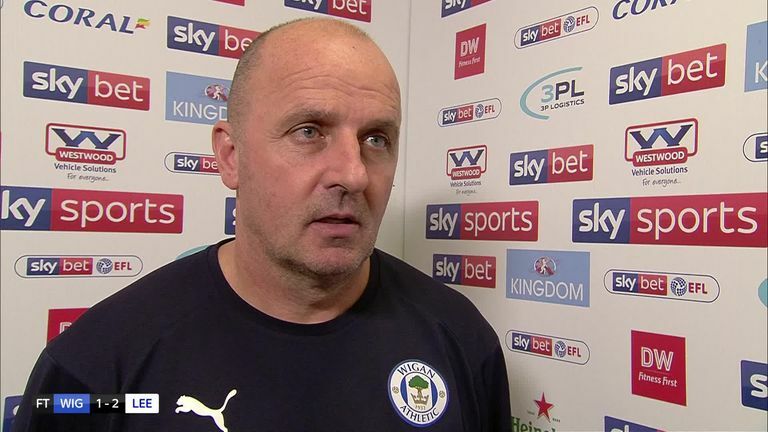 Wigan boss Paul Cook says he was proud of his players despite individual errors costing them the game after they took the lead early on. Marcelo Bielsa: "It's hard to concede a goal at the beginning of the game but to score a goal immediately after neutralised the negative effect of conceding at the beginning. We draw the important conclusions at the end when we reach our goals according to how we play the rest of the season. "I would like to underline the good aspect of the staff of the opponent. They were lacking many offensive players and they played at a good level." 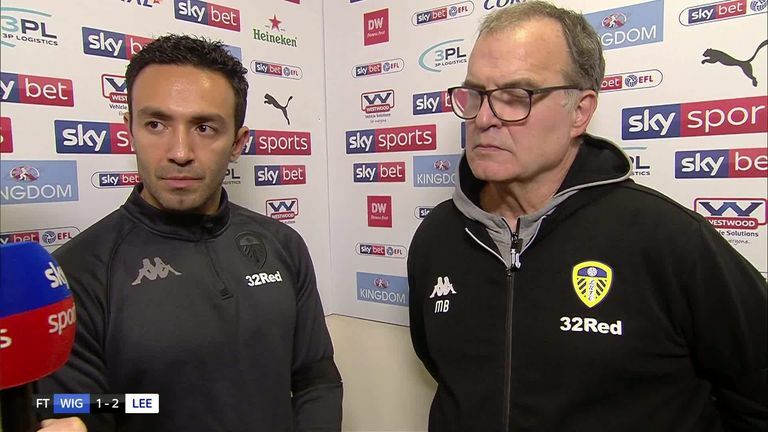 Marcelo Bielsa gives his thoughts after his Leeds side defeated Wigan 2-1 to move back to the top of the Championship. Up next for Leeds is a trip to The Hawthorns to face West Brom, live on Sky Sports next Saturday (5.30pm). The post-Whelan era begins for Wigan with a trip to the Riverside to face Middlesbrough (3pm).